Email formatting: Is there a way if a field is left blank the email will not show the title for the field? With the autoresponders and notifications is there anyway if a field is left blank to have the email not show the correlating title for that field? Unfortunately, there is no option to change the subject line of an email or modify the contents of an email with conditions. 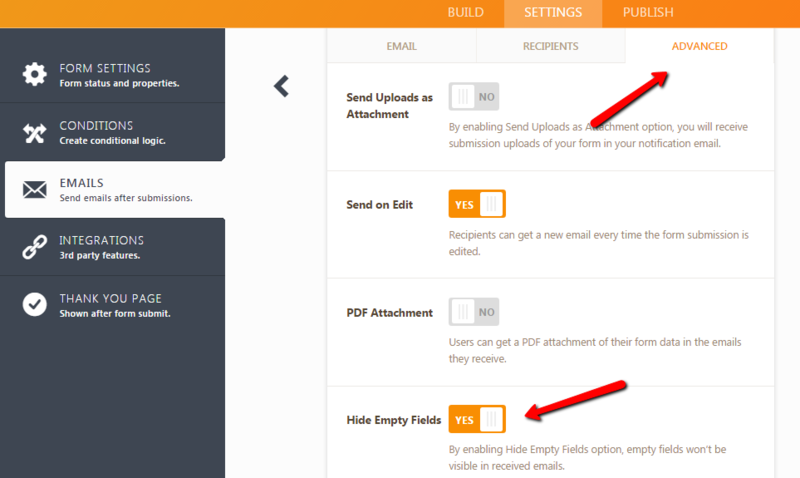 This can only be handled by using conditions on handling different email alerts, let's say you have two email notifications (EN1 and EN2), and that if a certain field is left blank, it will send EN1 and another condition that if the same field is filled, it will submit EN2.